Sep 21st: Are We Living in an Island Universe? 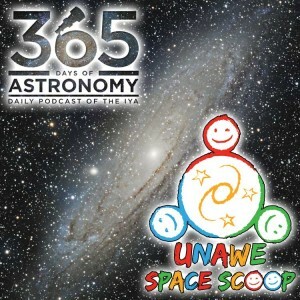 Title: Space Scoop: Are We Living in an Island Universe? Many of you will recognize the object in this episode’s album art as a galaxy: a collection of billions of bright, shining stars, and cosmic gas and dust. In this day and age, almost everyone has seen a photograph of a galaxy, making it hard to believe that less than 100 years ago most of the world’s top astronomers didn’t believe in galaxies. Well, at least as we know them! One of the most important events in astronomy was The Great Debate between Harlow Shapley and Heber Curtis in 1920 at the Smithsonian Institution in Washington DC. Before then, the nature of galaxies was uncertain. Most people believe that what we call galaxies today were simply ‘spiral nebulae’ within our Milky Way Galaxy and that they were examples of new solar systems in formation. This was not a bad guess as newly formed solar systems do form an accretion disk that probably looks rather like the flattened disk of a galaxy. This was the argument that Shapley was supporting during The Great Debate. He also calculated that the Milky Way was 300,000 light years across, which is three times larger than its size as we know it today. He believed (as most astronomers did) that the Milky Way was the whole Universe! Opposing him in the debate was Heber Curtis, who believed that the spiral nebulae were actually separate galaxies or “island universes”. Immanuel Kant had called them that in 1755 when describing Thomas Wright’s 1750 hypothesis. So Curtis said that the Universe is much, much bigger than everyone believed. Curtis’ calculation, made 3 years earlier in 1917, of the distance to the Great Andromeda Galaxy M31 was half a million light years and was based on the brightness of novae he had observed in the galaxy. 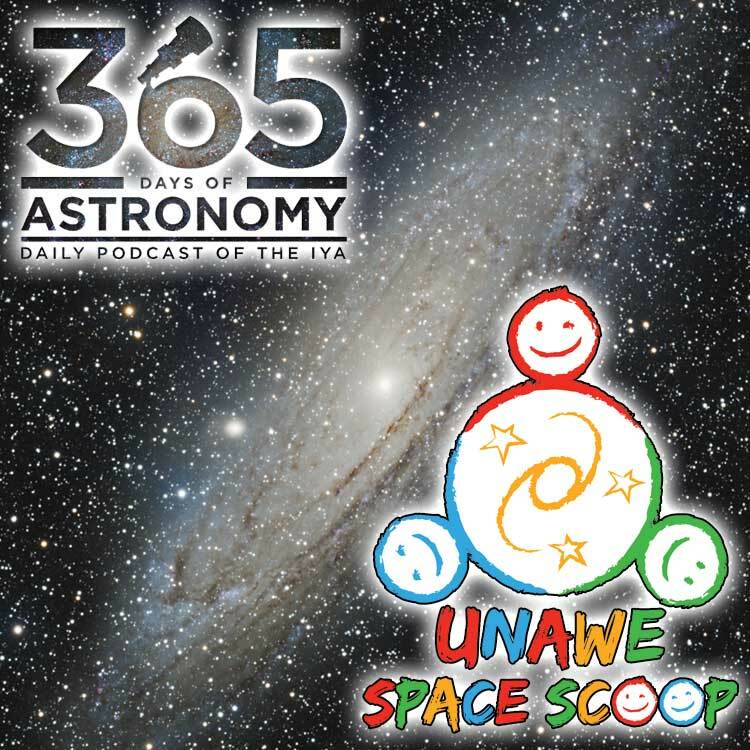 M31 is the galaxy featured in our album artwork for this episode. A supernova in M31 that happened in 1885 was used by Shapley to support his argument, as it outshone the nucleus of the galaxy. For a simple nova to do so it would have to be close, within the Milky Way. The concept of a SUPERnova was yet to be born and astronomers couldn’t understand how something could be so bright at millions of light years away. The huge distances and brightness of supernovae were just too much for the astronomers to swallow. But before Curtis, in 1912, astronomer Vesto Slipher had studied spectra of numerous spiral nebulae and found them to be red shifted so much that they were exceeding the Milky Way’s escape velocity and thus they couldn’t be gravitationally bound to it. The exception to this was M31, which was found to be blue shifted and approaching us at 300 kilometers per second. Actually it’s approaching the Milky Way at 110 kilometers per second, the Sun’s galactic orbital velocity makes up the rest of the 300 kilometers per second that Slipher measured. Then 2 years after the great 1920 debate Estonian astronomer Ernst Öpik elegantly estimated the distance of M31 at 1.5 million light years using its rotational speed and its brightness. The scales were beginning to tip in favor of “island universes” after all. So the question hinged on just how far away these “spiral nebulae” were, and were they outside the Milky Way or within it. This question was finally put to rest in 1925 when Edwin Hubble discovered Cepheid variable stars in M31 and M33, a smaller sister galaxy close by. He estimated M31’s distance to be a little over 900,000 light years, so Öpik’s estimate was closer to today’s 2.5 million light year estimate. So with Slipher, Curtis, Öpik and Hubble all estimating M31 to be outside the Milky Way, opposition to the idea collapsed. And the Universe got a LOT bigger! Today we know that Curtis was correct about the spiral nebulae being separate galaxies. The Milky Way is just one of hundreds of billions of galaxies in the known Universe! But the Great Debate wasn’t as black-and-white as it might sound, Curtis did get some things wrong, like the size of our Galaxy. He estimated it was 30,000 light years across instead of our current estimate of 100,000 light years. And Shapley got some things right. He correctly argued that the Sun lies near the edge of our Galaxy, whereas Curtis placed us right at the centre. The Triangulum Galaxy, M33, is the third-largest member of the ‘Local Group’, which is a group of galaxies bound together by gravity. As well as the Triangulum Galaxy, the Local Group also includes our Milky Way, the Andromeda Galaxy and about 50 other smaller galaxies!